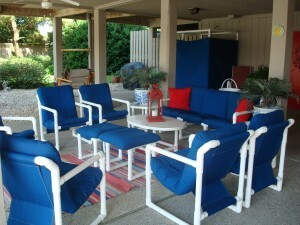 We are centrally located at 2 Marina Street at Wrightsville Beach, NC and can be contacted at (910) 256-0638. 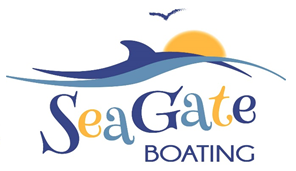 While in the past we have had different boats located at different marinas, we have found that the majority of our clientele prefer to take the boats out from Wrightsville Beach. We will deliver our boats to many locations in Southeast, NC including: Bald Head Island, Carolina Beach, Figure 8 Island, Holden Beach, Ocean Isle, Southport, Swansboro and Topsail Beach. Our docks are very easy to find. When travelling from the mainland to Wrightsville Beach you will go over the drawbridge. Immediately after the bridge, take a right turn and then another immediate right turn, leaving Redix Beach Store to your left. Take a left turn (after Causeway Cafe) onto Marina Street. The docks are immediately behind the first house on the right. 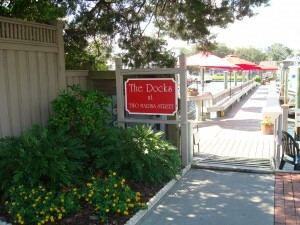 The sign says “The Docks at Two Marina Street.” These docks are between Blue Water Grill and the drawbridge. 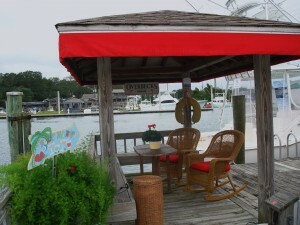 The new docks have a beautiful gazebo located at the end of the docks where Boat Club Members can enjoy a meal overlooking the water after a day on one of our boats. Boat Club Members can also take advantage of a wonderful lounge complete with seating for 9, a hammock, a shower and a swing chair.